Book-Tuna on a Fly by Tom Gilmore. 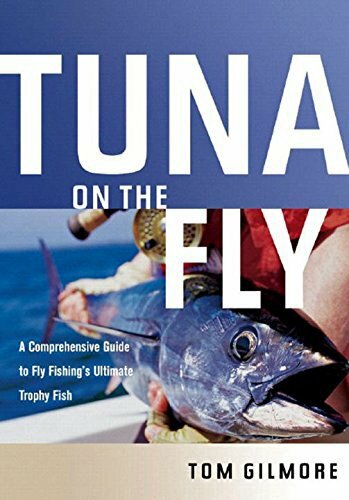 Perhaps the last great frontier of fly fishing is the catching of big, strong, fast offshore tuna species on a fly rod. These fish were the targets of such trophy fishermen as Zane Gray and were thought to be just too large to be handled on fly-fishing gear. That changed during the 1990s as anglers began to develop ways of targeting these fish when they were of a size that could be handled on fly tackle and these efforts were helped along with the development of a new generation of heavy-duty fly gear. Now, Tom Gilmore takes the reader into this exciting, new world. 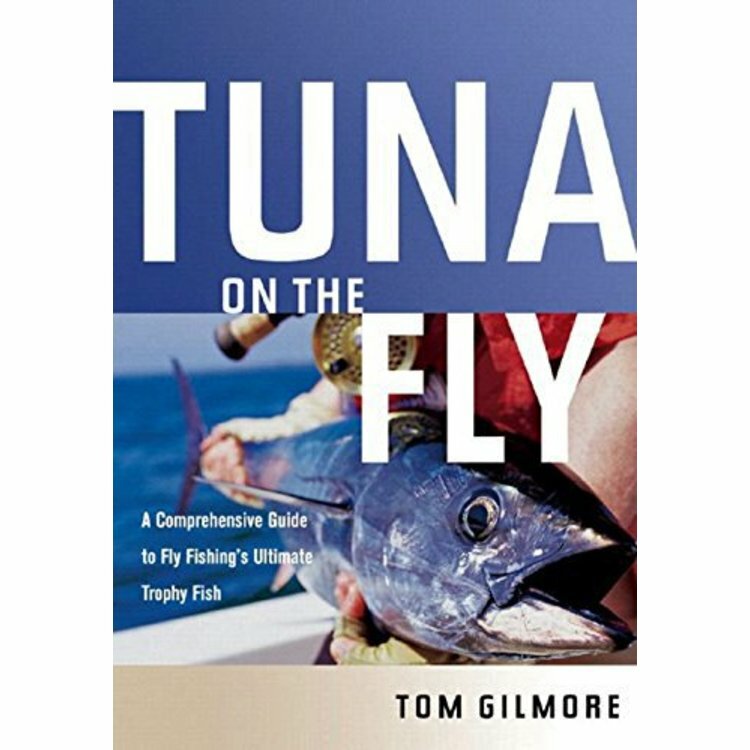 Gilmore explains the habits and behavior of the different species of tuna and identifies the areas where these fish can be found. He covers tackle, tactics, and important flies and knots to hold these blue-water beasts. 234 page Hardcover edition. 7 x 10 inch format. 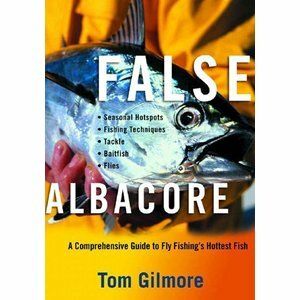 Book-False Albacore by Tom Gilmore, The false albacore is a strong and lightning-fast member of the tuna family that has been discovered by the saltwater flyfishing world as one of the most challenging species to target.